Zero Waste Marin Board Member information can be found below and by clicking on the link next to their names. Please refer to the JPA Agreement for information on election procedures, terms of office, and compensation policy. JPA Agreement 1996. Please refer to the Agendas & Minutes page for meeting agendas, minutes and schedule. Zero Waste Marin is the formal name for the Marin Hazardous and Solid Waste Joint Powers Authority (JPA), which is comprised of representatives from all over Marin County. Our mission is to help residents and businesses meet the county’s Zero Waste goal by 2025 by reducing and recycling their solid waste and safely disposing of hazardous materials. 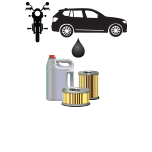 We provide information on household hazardous waste collection, recycling, composting and waste disposal. We also ensure our county’s compliance with state recycling mandates – all while educating the citizens and businesses of Marin. Zero Waste Marin is comprised of the city and town managers of Belvedere, Corte Madera, Fairfax, Larkspur, Mill Valley, Novato, Ross, San Anselmo, San Rafael, Sausalito and Tiburon and the County of Marin. Zero Waste Marin ensures Marin’s compliance with the California Integrated Waste Management Act and its waste reduction mandates. In 1997, the CIWMB recognized Zero Waste Marin as a Regional Agency, allowing our members to report to the state as one political body instead of 12, as was previously required. The Marin County Department of Public Works/Waste Management administers Zero Waste Marin. The AB 939 Local Task Force provides citizen and industry review. In addition to addressing the statutory requirements of the Integrated Waste Management Act, Zero Waste Marin also provides hazardous waste collection to citizens and businesses in all areas of Marin except for the City of Novato, which operates its own hazardous waste collection program in conjunction with Novato Disposal and Novato Sanitary District. The San Rafael facility provides a no-fee service for residents of Marin County to properly dispose of HHW. Businesses are required to pay a service fee for facility use. 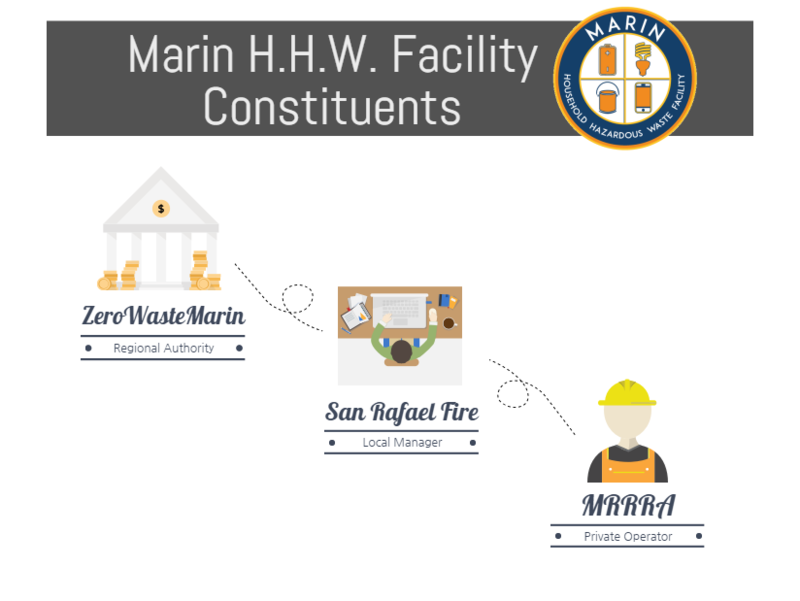 The facility is operated independently of Zero Waste Marin by the Marin Recycling & Resource Recovery Association and managed by the San Rafael Fire Department. The Marin HHW Facility website is: www.MarinHHW.com. You can find our budgets in the May Agenda Packets for each year under the JPA Board Meeting Minutes & Agendas on the Agenda & Minutes Page. The financial reserves policy can be found under the General Contingencies line item in each of the three budget sectors. Download the current Summary of Fees & Revenue. Audits information for the JPA can also be found in the Agenda Packets. The Waste Management Division of the Marin County Public Works Division provides contracted staff to the JPA. The Assistant Director of the Marin County Public Works Department is the Executive Director of the JPA. The Program Manager helps facilitate the meetings. Information regarding compensation and benefits to JPA staff can be found at Marin County Job Class & Salary.